Apple TV users in more than 100 countries now have access to Amazon Prime Video. The arrival of the streaming service means that anyone with an Apple TV 4K or an older model can enjoy a plethora of movies and Prime Original series. On top of this, in the US, the Apple TV app brings live sports to iPhone, iPad and Apple TV users. There are already a number of supported sports apps within the Apple TV app, including those from ESPN and the NBA, and more will be added. Prime Video subscribers can manually browse through the programming that's available, or make use of the Siri Remote for voice-activated searching. 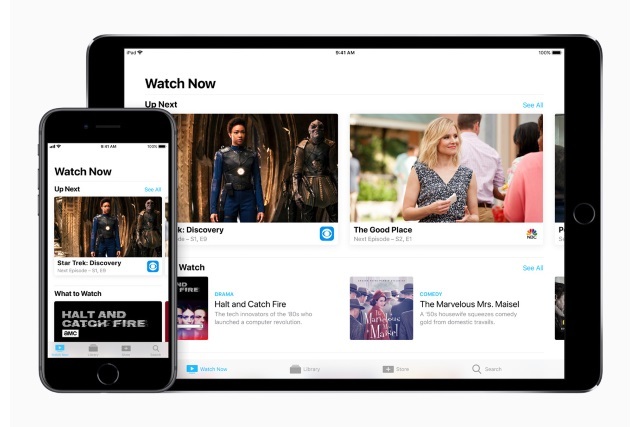 Apple boasts that "Siri can now search 1.3 million TV episodes and movies on Apple TV." Amazon Prime Video is one of the most eagerly anticipated apps to come to Apple TV, so we're excited to bring all of that great content to customers. The Sports tab in the Apple TV app makes it even easier for fans in the US to track the teams, games and moments that are important to them. With these exciting updates, plus our growing collection of 4K HDR movies on iTunes, we continue to deliver an unparalleled entertainment experience to Apple customers. Sports fans can look forward to on-screen notifications when a game is about to start, and their favorite teams will show up in their Up Next Queue. There's also a new Sports tab in the Apple TV app which is home to information about teams, leagues and on-going games. Apple says: "Live sports in the Apple TV app is available as a free software update for Apple TV 4K and Apple TV (4th generation), iPhone and iPad customers in the US."